This chart shows the ancestral line that I currently know. Mathew Minogue, Thomas's grandfather, was from County Kilkenney and as a young man, he enlisted in the British Army. While stationed in England, he met his wife, Ann Carter. In the 1860s, he transferred to the Royal Canadian Rifles and they emigrated to Canada where he was stationed in Quebec City. Upon his retirement from the army, they moved to London, Ontario. 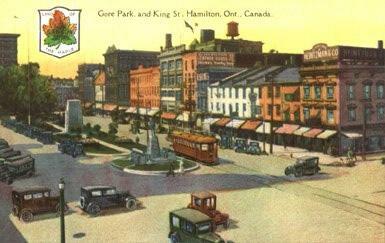 Mathew's son, Thomas Henry, relocated to Hamilton, Ontario and many of the Monogue descendants still live there today. It was Thomas Henry who changed the Irish spelling of the name Minogue to Monogue as family tradition states that he did not like his friends using the nickname, "Mini". The O'Callaghan family also hailed from County Mayo and John O'Callaghan and his sons became prosperous merchants in Ingersoll, Ontario. Many of the O'Callaghan descendants eventually left Ontario for the Detroit area of Michigan. This is just a short introduction to our family, please explore the other pages at your leisure.